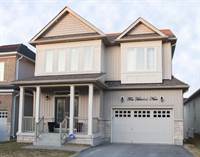 Looking to buy the home of your dreams in Orangeville, Ontario? With the Canada-wide Multiple Listings Service® (mls.ca), it can take days before the newest homes for sale, properties, and other real estate listings in Orangeville appear... but Tara Rosen has access to them first! With our exclusive TMLS® Email Notification Program, search one of the area's largest inventory of MLS® property listings and view information about homes that are currently available in the Orangeville area, or any other area you choose. Quickly locate homes based on your needs, complete with pictures and descriptions. And, as new homes enter the market you'll be notified daily by email, and be one of the first to see the hottest new Orangeville real estate listings before they're sold! "Shelburne Detached 5 Bedroom Home"
"Preview the hottest new homes for sale in Orangeville, days before they hit mls.ca"
Orangeville Real Estate isn't just about buying homes in Orangeville. Real Estate is a business that helps people achieve their hopes and dreams. Doing so in a courteous, friendly and efficient manner is our priority. Tara Rosen knows that she must first listen to her clients to find out what they expect when it comes to their Orangeville real estate and home buying needs. When buying property in today's Orangeville real estate market, it's so important to have confidence in your real estate professional. Tara's commitment as your dedicated 'Buyers Agent' is to provide you with the specialized real estate service you deserve. Make no mistake, if you want your best interests as a home buyer represented properly and exclusively... YOU WANT A BUYERS AGENT! If you are considering buying a home in Orangeville, relocating to Ontario or would just like to have additional real estate info, don't hesitate to call or email Tara today!